Sharon Milliman has had four NDEs. The first occurred at the age of thirteen. She drowned while taking swimming lessons. The second occurred in 2005. She was struck by lightening while talking on a cordless phone during a storm. The third was in 2016 while she was undergoing emergency surgery, and the fourth occurred in 2017 from an adverse reaction to seizure medication. Sharon wrote a book about her first two NDEs titled A Song in the Wind: A Near-Death Experience, and is the sequel to The Whispers In The Wind: A Poetic Journey Of The Soul, which includes the other two NDEs. Sharon has been on several radio shows, YouTube interviews, and podcasts. Sharon was on The National Geographic Channel in a show entitled “Return from the Dead” about NDEs. Recently she was on Dr. OZ on February 15, 2019. Sharon has presented as a guest speaker at a number of spiritually oriented groups, hospice groups, and churches. 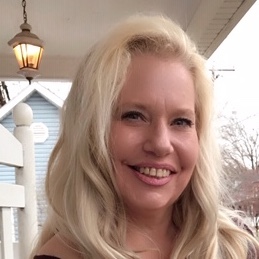 Sharon has a deep interest in how God moves through the lives of herself and others, making her a pilgrim and supporter to many within the NDE community as well as her broader community. She does this through listening, giving voice to her experiences, and through her inspirational writing. Sharon plans to continue her work to promote God’s unconditional love to a hurting world.